Added a classic tilde-activated debug console this night (12-10-2009) that shows the last couple hundred log items and lets you execute Lua commands. Some commands close the console by themselves, and everything that's printed there is also logged to file, which is good cos it doesn't do word wrapping. @Zbyte: Interesting, but I have to agree with Dahrk: perhaps you should make those platforms a bit wider since the level is icy, has auto-scrolling, and contains a Lakitu. Last view: 2652 days Zbyte, you might want to change the standard 4-byte platforms you're using because if you look at the top part of them, it looks garbled like the underground objects in the Hilly set. looks stupidly hard make the ice blocks at least 2 wide since it's on ice. Yeah, I really need to tone this down. But school and other activities are taking up my time. Hopefully I can get as much done with Mario's Trials that I can! Zbyte, you might want to change the standard 4-byte platforms you're using because if you look at the top part of them, it looks garbled like the underground objects in the Hilly set. Still got more graphics in progress. I posted about that above. I started working on the graphics and left them unfinished. 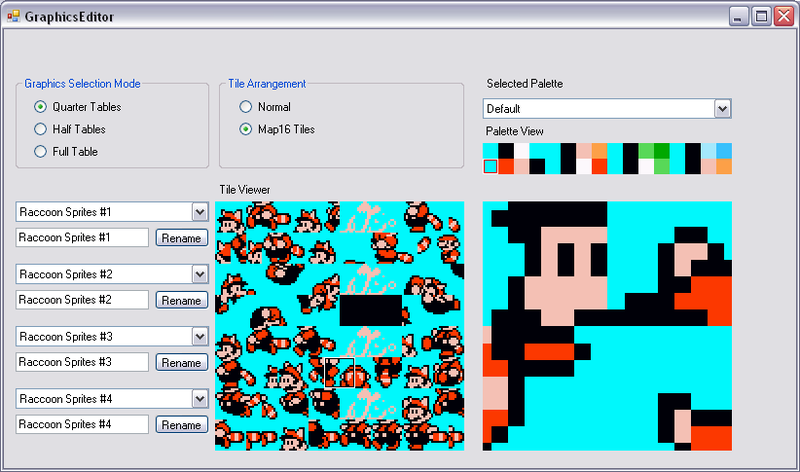 I didn't have the iced-over platfroms overlap because SMB3 Workshop didn't display it right, but now I did. When an icy level autoscrolls, Mario doesn't move left this time. I also recognized another thing: all Flat Ground objects, both in the Plains set and the Ice set; the Flat Ground never extends as you go up. Glad you guys are interested. Thanks for the comments! They are always appreciated. Oh gee thanks, DahrkDaiz. That'd only have made all the graphics hacking I was doing a couple of weeks earlier about a thousand times easier. I guess I'll have to stay vindicated in that I did all mine the hard way! Last view: 1575 days Unfortunately to you and anyone looking to use their existing hack, this editor won't really be able to edit existing hacks in the traditional sense. I'm early enough in production of my hack to stop it and just use DD's editor. 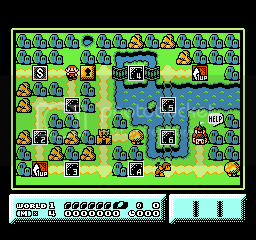 I'd have to re-create the levels which would be much easier because I wouldn't be as limited with tiles, pointers, and space; I could do what I truly wanted. I would also have to recreate the title screen as well, which might be okay, but I'd like to be able to keep my idea about the same as my current one. I'd also have to transfer all of my graphics over, and that would be a minor obstacle as well. If DD's editor is as easy to use as he says it will be, my hack will be done in a very small amount of time. You rock, DD! That's all I can really think of that'd make me switch. Oh, and so I'm not completely off-topic: new screenies of my hack coming soon! This is a tool for loading SPC files and dicking around with their samples. Generally speaking you load an SPC file, halt the CPU, stop all channels from playing, then run hog wild messing with the different settings. Since this is a fairly simple tool I should be making a release relatively soon. Last view: 87 days I decided to scrap what I previously had, and redo the graphics. Not only does it look better I think, but it is more Megaman-like. @MathOnNapkins: That looks AND sounds sweet. I'm going to have to check it out later. I'm no musician, but I'd love to learn how to insert the stuff into ROMs, and a program like that would probably help me get closer to a comfort zone in music hacking. @SePH: Looking snazzy, though I think the life bar should keep the shades of red from the original (or at least another warm color), as at least I myself associate red with life...teal not so much. Is your hack completely futuristic or will it involve any sort of time travel? Map screen graphics are like...85% done, and as far as my demo release will be concerned, they're more like 98% complete. Oh, and I know you can't see it here, but the bushes are animated differently than their original counterparts. This is the last screenie I'm posting before demo release day, which'll be sometime within the next month (I hope!). Last view: 214 days Mineyl, woah that is nice. That map screen is one of the best i have seen, the colors are so yummy..
Last view: 1575 days Oh wow Mineyl, that's actually very pretty. I seriously almost thought I was looking at the SNES version at first. The map system has been replaced to allow more flexibility. 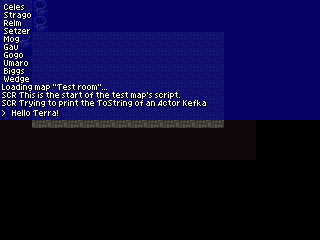 I haven't made any changes to the map, so you'll probably recognize the screens. The status bar looks like crap, but it will be replaced eventually too. Thanks guys. I probably spent way more time on it than I should have, but I'm pretty meticulous as well as a perfectionist, so... Altogether, I'm just glad I'm pleased with the end result. Suddenly, Link's Awakening DX meets Zelda 1. Though the top of the cliffs bother me. Last view: 87 days Mineyl and never-obsolete, awesome graphics work there! MySQL - queries: 118, rows: 159/0, time: 0.115 seconds.